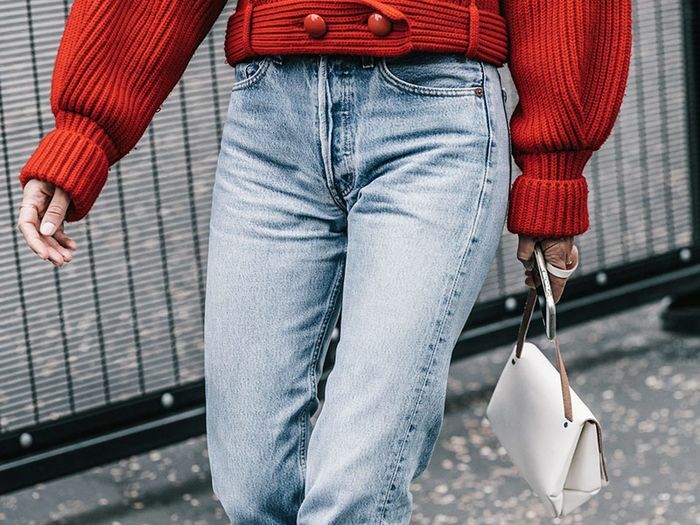 When celebrities aren’t dressed to the nines for events or modeling whatever garb their latest gig requires, they’re oftentimes wearing jeans, and there’s a good chance that whatever jeans they’re spotted wearing on repeat will become the next big denim trend. So, naturally, we watch their denim choices like a hawk. Since the season of shorts and sundresses has definitely come and gone by now, celebs like Sofia Richie and Kate Bosworth are donning denim more than they have in months. Classic styles like skinny jeans and cropped flares certainly reign supreme, but more unexpected, niche styles are also on our radar. After all, you never know what could end up being the next cropped flares. To help lead you to your potential next denim purchase, we took it upon ourselves to call out four styles, in particular, that we’re seeing celebs wear more and more recently, along with our favorite styles to shop for each trend. Read on to find out which denim trends celebs are embracing! The ’90s have returned (at least as far as our wardrobes are concerned), and lately, celebs have been embracing the grunge look of the much-adored era. 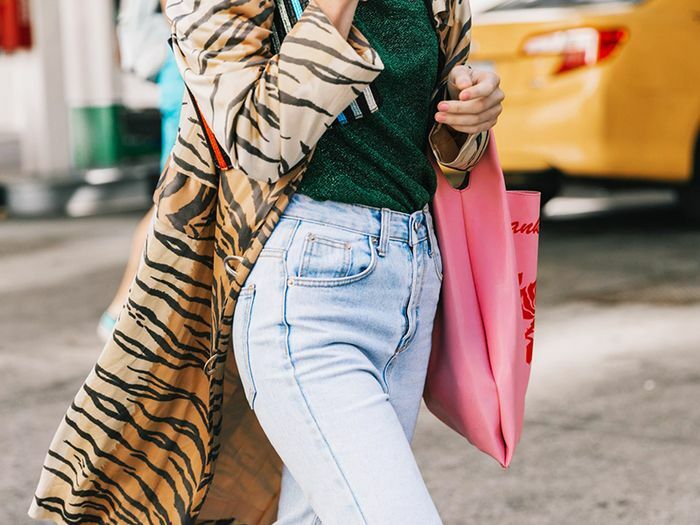 As a result, ripped boyfriend jeans are officially back. Ruffles and bell sleeves have been a trend for the past couple of seasons, so it’s no surprise that those details have made their way down to our denim. Stars like Kate Bosworth and Rosie Huntington-Whitely have recently displayed just how flattering they can be. Gigi Hadid, Bella Hadid, and Kendall Jenner were a few of the first celebs on board with the mom-jean revival, and it appears to have made its way to the rest of the celebrity cool-girl set. Low-rise jeans are arguably as polarizing as denim trends come, but that’s not stopping directional celebs from wearing them again. We can’t say that we blame them—we’ll be the first to admit that they’re actually really comfortable. Next up, find out which mistake to never make when you wash jeans.